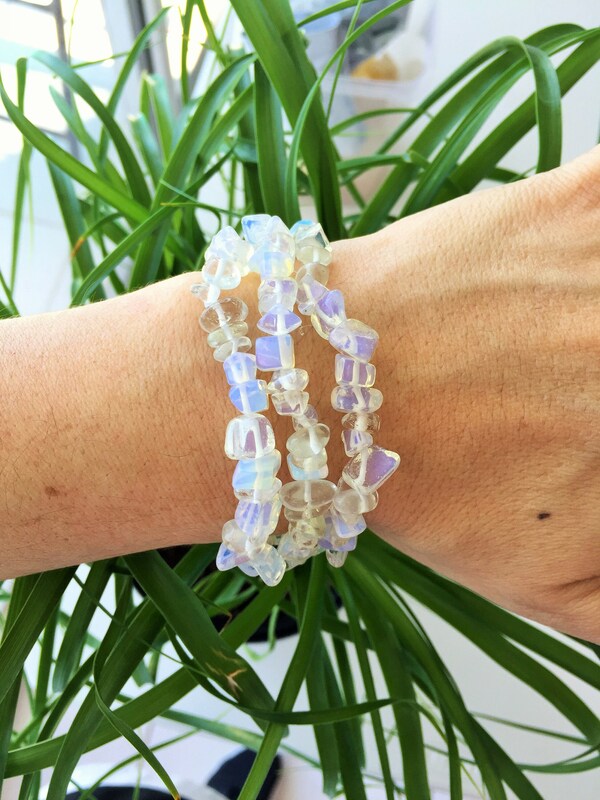 Receive 3 of these beautifully handmade Opal chip bracelets, this Chakra Healing SET helps to open and activate the Throat Chakra allowing for a opening of clear communication between your heart and mind so that you may speak and expression yourself from a place of truth. It also facilitates the release of negative emotions like stress, anger, anxiety and even feelings of depression. 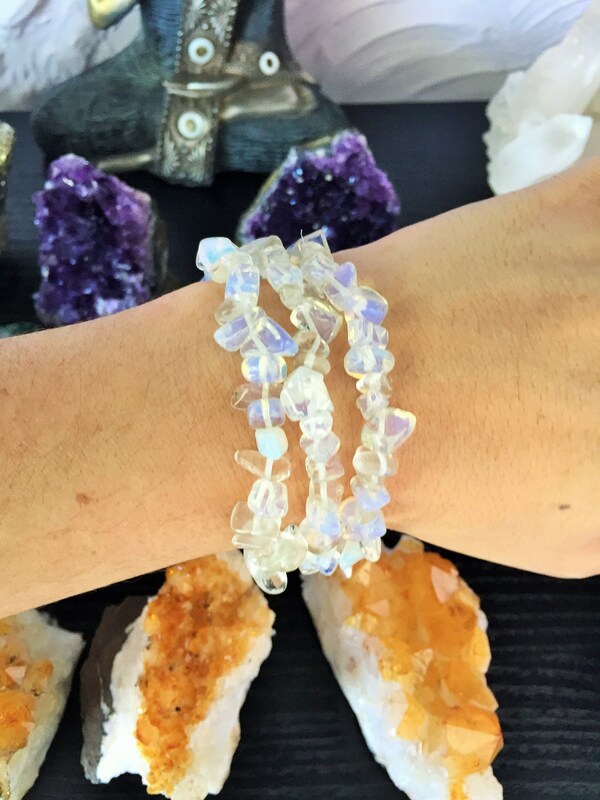 Opalite improves communication on all levels, especially the spiritual. 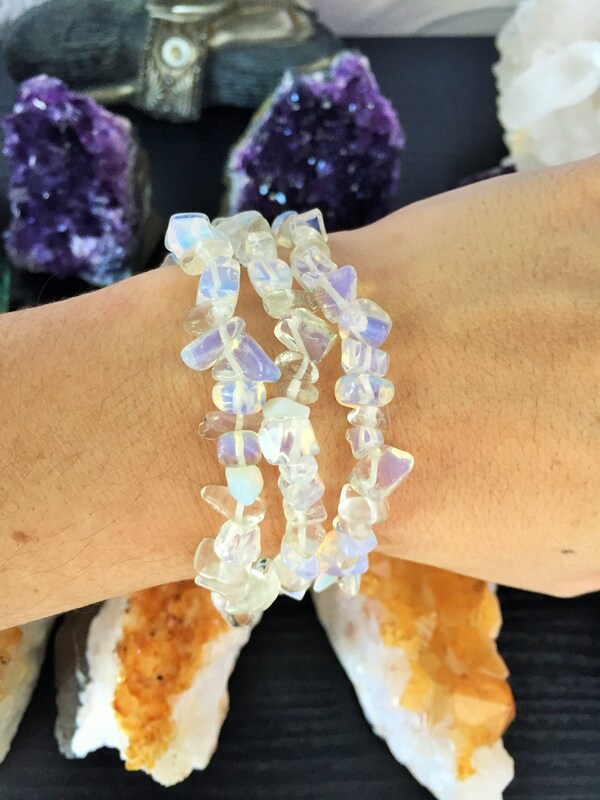 It removes energy blockages of the chakras and meridians. 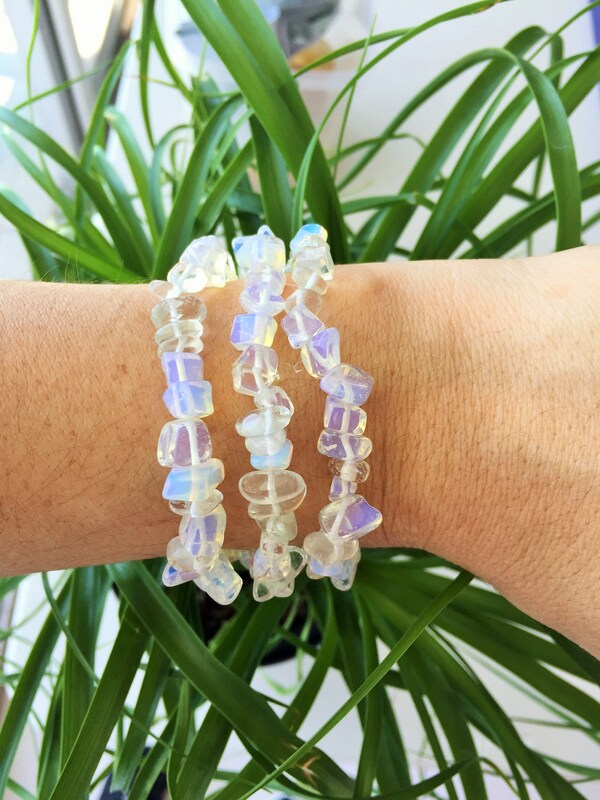 Emotionally, Opalite helps by assisting during transitions of all kinds. It engenders persistence and gives us strength in communicating our hidden feelings.